Oct 23 A Gombrowicz spectacle in Vancouver, B.C. Polish Scouts invite for a Halloween party for kids at the Polish Home on Sunday afternoon. Our neighbors from the Capitol Hill invite to the 33rd Russian annual bazaar. Russian handicrafts, icons, books and other souvenirs as well as traditional foods such as borscht, pelmeni. pirozhki and pastries will be available. One sure attraction is a live music by a balalaika ensemble and a choral song groups. The Orthodox Cathedral will be also open for bazaar visitors with Fr. Alexi Kotar serving as the guide. Where: at the Hall of the Saint Nicholas Orthodox Cathedral, 1714 13th Ave, Seattle; admission free. DJ Marcin Ludowicz invites to the Halloween theme disco at the Polish Home. Halloween costumes encouraged but not required. You need to be 21+ to attend. George Fiore is Seattle Symphony’s Chorale conductor and a foremost interpreter of the music of the great Frederic. He will present a two evening celebration of Chopin works on Oct 6 & 27. On Oct 27 the focus will be on Chopin’s influence on composers such as Wagner, Debussy and Rachmaninoff. The program includes the Ballades, Etudes, Berceuse and several songs (in English) and Mazurkas performed by Donna Cole, mezzo-soprano and Barbara Scheel, soprano. Where: Town Hall, Eight Ave at Seneca St, downtown Seattle; tickets $16/$13 advanced, $18/$15 at the door. 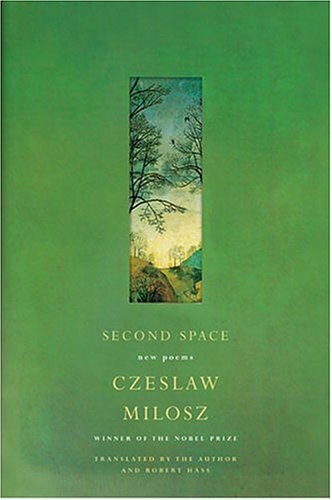 The Elliot Bay Mandelstam Society invites to a meeting focusing on reading & discussion of Czeslaw Milosz’s last new book, Second Space (Ecco Press). The poems have been translated by the author and Robert Hass. The Society meets once a month at the Elliot Bay Book Company to read and discuss works of various poets. Polish Association Zgoda and Teatr Popularny from Vancouver, BC, invite to a spectacle Witold Gombrowicz: Pol blazna, pol panicza directed by Jerzy Kopczewski. The text in Polish, selected and arranged by Andrzej Jar and Jerzy Kopczewski is based on two popular novels by Gombrowicz, Ferdydurke and Trans-Atlantyk. The cast includes Jerzy Janeczek from Seattle area. This being the Gombrowicz’s year in Poland (it’s the 100th anniversary of his birth), the spectacle will be introduce by Prof. Bohdan Czaykowski of UBC. Pancake galore at the Polish Hall in Tacoma: original Polish potato pancakes, Hungarian pancakes, mushroom & onion pancakes and more plus red borsch etc. Polish beer and drinks available. Live music by the Button Box Band. Sponsored by the Polish National Alliance in Tacoma and Miro’s Catering. This disco evening is with Maciek Pietrzyk as the DJ. For 21+ crowd only. The NW tour of the Cabaret Pod Banka through Vancouver, Seattle & Portland has been canceled. Sold tickets are reimbursed in full. To get your money back please contact the person you bought the tickets from. Dr. Adam Budnikowski will have a lecture Environmental Impacts of the EU Enlargement: A Central and East European View. The European Union has been the principal driving force in raising environmental standards across Europe. The recent enlargement is perhaps the most concrete example of this as the countries of Central and Eastern Europe have moved rapidly to increase levels of environmental protection under the guidance of the European Union. Dr. Budnikowski is the Director of the Institute of International Economics at the Warsaw School of Economics and the author of many books and studies. The Chopin Foundation invites to a concert by Mark Salman, a powerful, dramatic young virtuoso who is a local to Seattle Area. As a winner of the Young Musician's Award, he had his New York debut recital in 1989 in Carnegie Hall at which he gave the New York premiere of three of Liszt's works. Since then, he has become known for his original artistry and wide repertoire, and best known for his Beethoven sonatas. At this concert he will play Chopin. He will play an all Chopin program including Polonaise-fantasie in A flat major, Op. 61, the Mazurkas of Op. 59, the Waltz No. 1 in A flat major, Op. 34, the Ballade No. 4, Op. 52, the Nocturne No. 1 in C minor, the Sonata No. 3 in B minor, Op. 58, and of course some surprises! Where: Illsley Ball Nordstrom Recital Hall in Benaroya Symphony Hall, Third & Union, Seattle; tickets $20, $15 seniors, $10 students, at Benaroya, ticketmaster and at the Chopin Foundation (206) 381-1416. 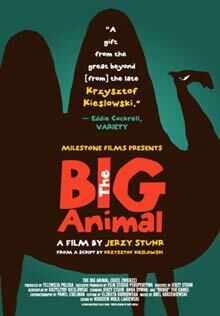 This parable about non-conformity has been directed by Jerzy Stuhr to a script by Krzysztof Kieslowski. Mr. Stuhr also plays the leading role of a small town dweller who finds his life turned upside down by adopted camel. The movie was shown in Seattle together with A Week in a Life of Man during Stuhr’s visit at 2001 SIFF when he was one of the Festival’s featured directors. 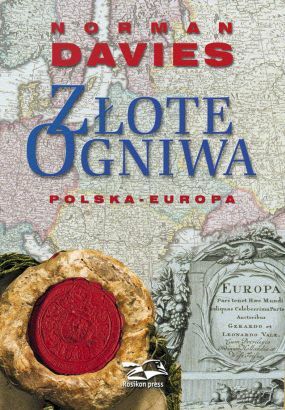 The books to be discussed at the next meeting are Zlote Ogniwa. 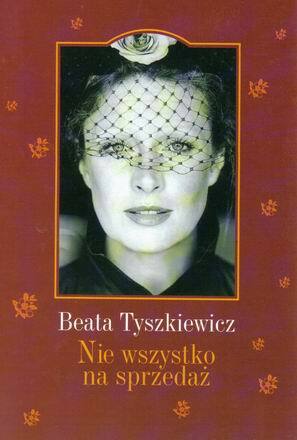 Polska-Europa by Norman Davies, about intertwining and interdependencies of Polish and European histories, and Nie wszystko na sprzedaz, by Beata Tyszkiewicz, a memoir of the famous Polish actress. Both books are in Polish and are available at the Seattle Central Public Library in several copies thanks to a grant from the SPL. Please inquire at the information desk at the LEW Dept. New members are always welcome. This dance performance to the music of Jack Gabel (a Portland composer) and Zygmunt Konieczny has been prepared by o Portland choreographer Agnieszka Laska. The event includes a dance piece to the music of Thomas Svoboda performed by the Portland Sobotka dance group. 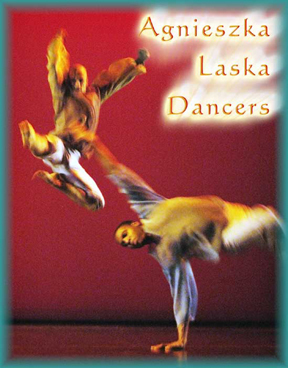 Ms. Laska is an innovative choreographer who created several dance performances in Portland over the last 2 1/2 years. The name of the program honors Ms. Ewa Demarczyk, the famous Polish singer known for her interpretations of songs by Konieczny. Where: PSU Lincoln Performance Hall, 1620 SW Park, Portland on Oct 8,9,10 at 7:30 pm; tickets $15 & less at 503-725-3307 or Ticketmaster. George Fiore is Seattle Symphony’s Chorale conductor and a foremost interpreter of the music of the great Frederic. He will present a two evening celebration of Chopin works works on Oct 6 & 27. On Oct 6 he will perform and talk about Scherzos, Preludes, Nocturnes and Impromptus with Aaron Nation playing movements from a cello sonata. Prof. Chodakiewicz will also lecture on the historical and political context of the 1944 Warsaw Uprising at the University of Washington. 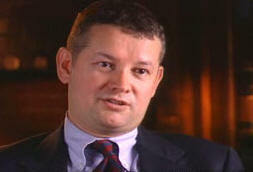 Dr. Chodakiewicz is Research Professor of History at the Institute for World Politics in Washington, D.C.. He comes as a guest of the UW Polish Studies Endowment Fund Committee. After the lecture the Committee invites to a traditional reception. Where: At the Kane Hall on the University of Washington campus; admission free. The movie is the recent excellent CNN documentary on the Warsaw Uprising featuring original film clips from the Uprising as well as commentary by former national security advisor Zbigniew Brzezinski and historian Norman Davies. Prof. Marek Chodakiewicz will have a public lecture on the historical and political context of the Uprising and on making the movie. Prof. Chodakiewicz is “the man behind the movie”—he was the main consultant for the documentary, as well as a consultant for the documentary exhibition in Seattle. This event has been organized by the Polish Home Foundation and also supported by the Seattle Public Library and UW Polish Studies Endowment Fund Committee. Where:at the Microsoft Auditorium, Seattle Central Library, 1000 Fourth Ave, Seattle, at the 4th Ave floor; admission free. More: volunteers needed, contact: Ryszard Kott; details of other events at the PHF website. Seattle City Hall will be open on Saturday, October 2, from 1 pm to 5 pm for the convenience of visitors who would like to attend events scheduled at the Seattle Central Library from 2 to 4 pm and see the exhibition at one outing. The book exhibition 63 Days and Nights features books and albums as well as films in English and Polish about the Uprising with an advice how to obtain them. The exhibition has been organized by Hanna Gil of the Polish Book Club and is supported by the Polish Home Foundation. 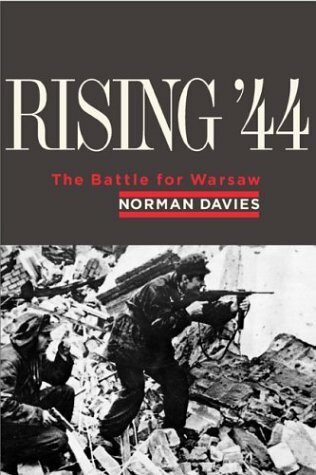 The Foundation plans to donate books and DVDs to Seattle libraries, such as city and university libraries, to help educate American public about the Warsaw Uprising of 1944. Cash and book donations in support of this goal are welcome, contact: PHF. The same exhibition that goes on display at the Polish Home first is presented at the main lobby of the City Hall and is easily available for visiting. The main part of the documentary exhibition Warsaw Uprising 1944 consists of documentary photos, maps and text describing the stages and circumstances of the extraordinary 63-day struggle. It also pays tribute to the American airmen who died flying over Warsaw in September 1944. The main exhibition has been commissioned by the Polish Consulate in Los Angeles and the additional exhibit prepared by K. Poraj-Kuczewski. The exhibition has been organized by Ryszard Kott and is supported by Polish Home Foundation, Seattle-Gdynia Sister City Association and the City of Seattle.